Are you confident that the fire department, police, ambulance, or first responders will find your home quickly, day or night, in an emergency? If you have doubts, don't let another day go by without taking action. 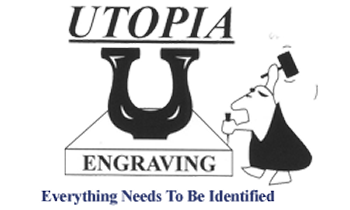 UTOPIA ENGRAVING has the answer. 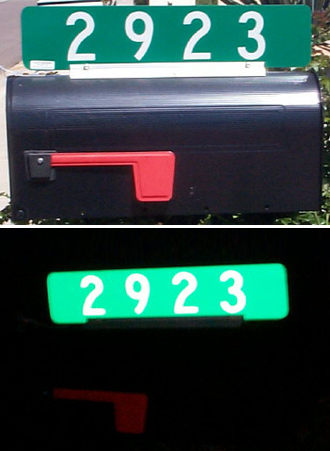 Did you know that most homes do not have house numbers that can be plainly seen at night? We have the permanent solution. 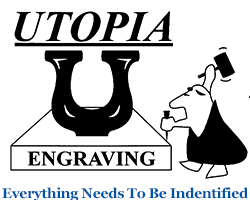 Let us make a highly reflective address sign for you that mounts on your mailbox, mailbox stand, house, or curb. 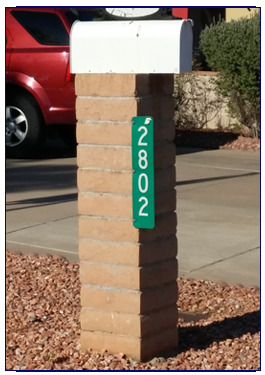 We make a sign with reflective white numbers on a reflective green background. 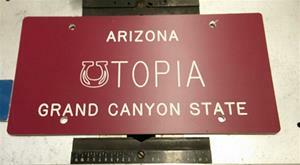 We use the same durable aluminum as your transportation department uses when making road signs. 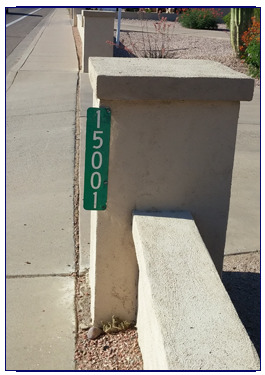 We expect our signs to last 15 to 20 years, withstanding many types of harsh weather and the extreme climates of Arizona. Forget about painting your curbs every again! One of these signs could save your life, or the life of someone you love. Seconds can mean the difference between life and death. Get yours for only: $39.95 plus tax (where applicable) plus shipping and handling. 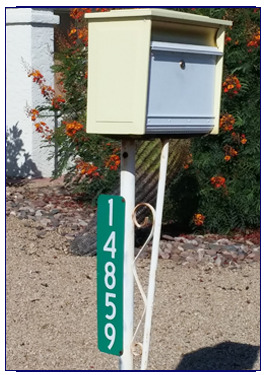 Each sign is 18 inches by six inches and may be placed on mailboxes, mailbox post, wood posts, concrete pillars, curbs, houses or metal poles.